The translation below is literal - word-for-word - as close as I can make it. 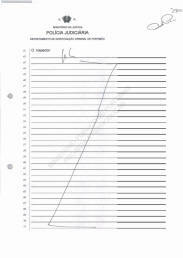 - which will be delivered when all the forensic tests are completed [at some unspecified date in the future]. 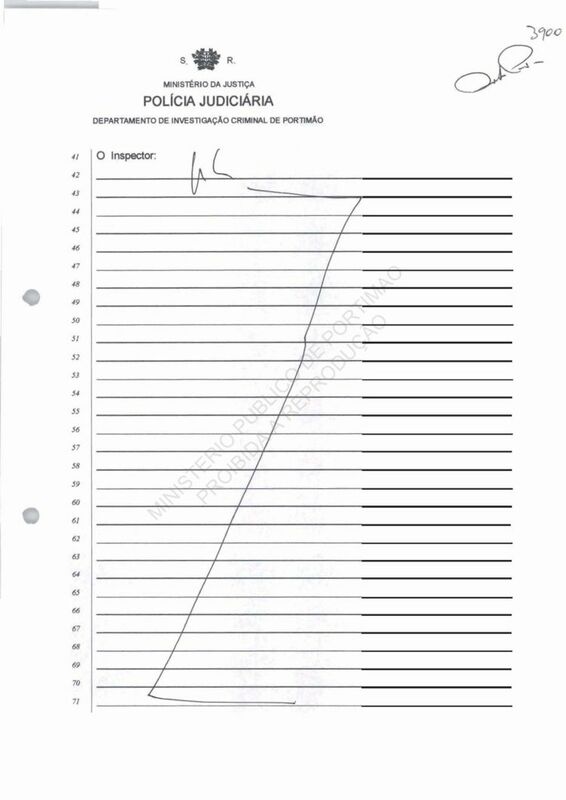 [NOTE that the cited report date of 7 August is impossible because the material being examined was only delivered to the laboratory in UK on that date. That date may, for that reason, have been in Paiva's mind when writing the memo. 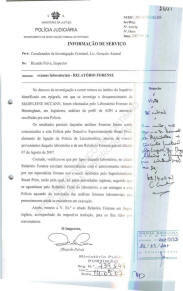 The English report attached to the memo is dated 06 September 2007. 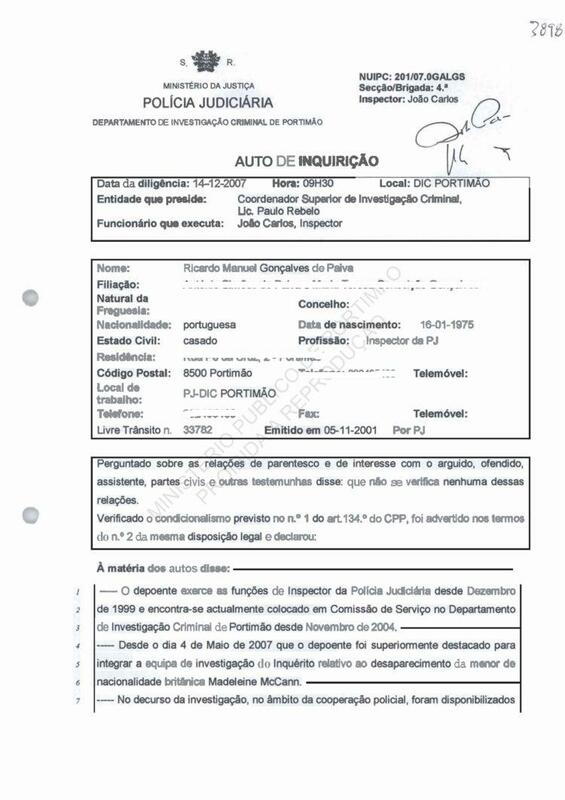 Service Information dated 14 September 2007 relating to the Forensic Report from laboratory examinations. 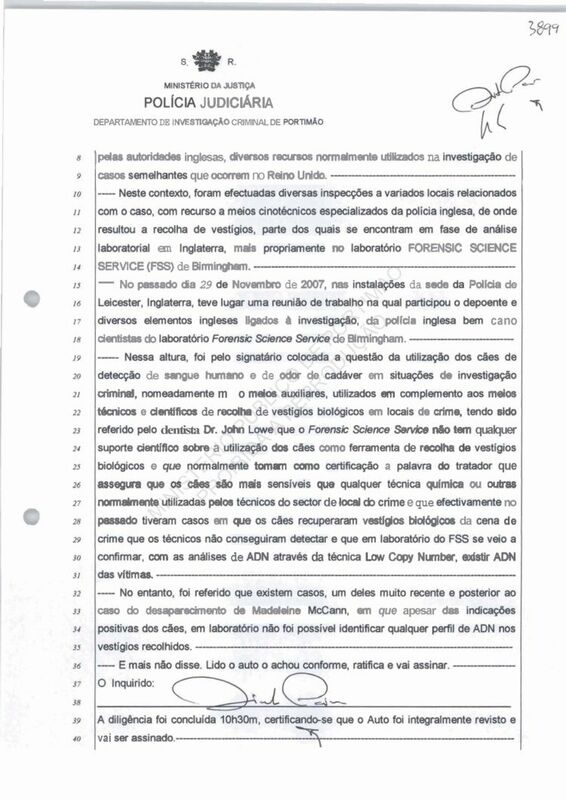 --- In the course of the investigation running in terms of the scope of the Inquiry identified above, in which is being investigated the disappearance of Madeleine McCann, there were made by the Forensic Laboratory of Birmingham, in England, DNA profile analyses of samples collected by this Police force. --- The partial results of those forensic analyses were being communicated to this Police force by Detective Superintendent Stuart Prior, member of the Leicestershire Police legation, through e-mails originating in that laboratory and from a partial Forensic Report dated 07 August 2007. 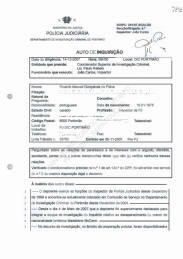 --- However, it was verified that due to error by that laboratory, in the cited Forensic Report there exist inconsitencies with that previously reported by a forensic specialist in the e-mails received by Superintendent Stuart Prior, the reason for which, it was by the English authorities, suggested that it is awaited for the Final Report of the laboratory, to be delivered to this Police force upon the conclusion of the laboratorial forensic analyses that presently are still in execution. --- Hence, I remit to you, Sir, the above Forensic Report in English, accompanied by its translation, for purposes you deem appropriate. The witness exercises the function of PJ Inspector since 1999 and currently works in the Portimao Criminal Investigation Department, since 2004. Since 4th May 2007 the witness was deployed to become part of the investigative team in the inquiry into the disappearance of Madeleine McCann. During the course of the investigation, within the sphere of police collaboration, different resources normally used in the investigation of similar cases in the UK were made available by the British authorities. Within this context various inspections of different sites related to the case were made, with recourse to the specialised forensic methods used by the British police, which resulted in the collection of samples, some of which were being analysed by laboratories in the UK, namely the FSS in Birmingham. On 29th November 2007 at the Leicestershire Police HQ there was a working meeting attended by the witness, several British officers investigating the case as well as scientists from the FSS. During this meeting, the witness asked a question about the use of cadaver odour and human blood detection sniffer dogs in situations of criminal investigations, namely as auxiliary means, used a complement to the technical and scientific means of collecting biological samples from crime scenes, as Dr Lowe had said that the FSS have no scientific support about the use of the dogs as a tool in the collection of biological samples and that they normally take as certification the words of the handler who assures that the dogs are more sensitive than any chemical technique or other normally used by local crime scene technicians and that effectively in the past, where dogs recuperated biological samples from the crime scene, which the technicians had not been able to detect and that there had been confirmation from the FSS laboratory by DNA analyses by means of the Low Copy technique, that DNA belonging to the victims existed. 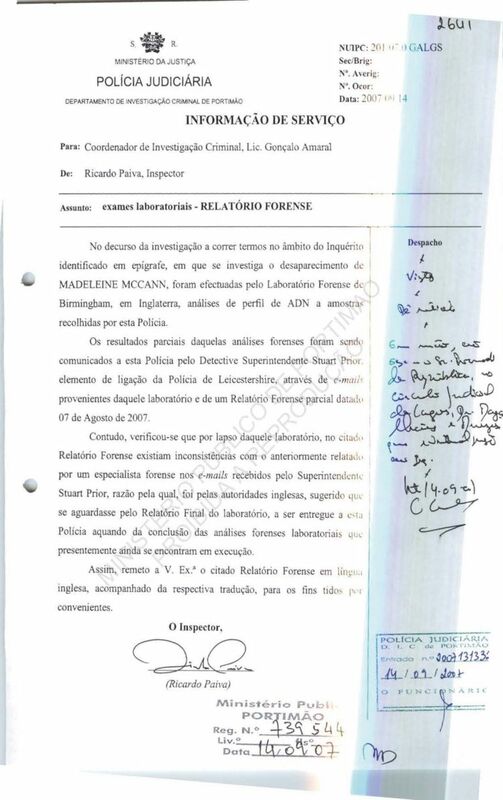 However, the witness was told that there are cases, even a recent case since the disappearance of Madeleine, in which, despite the positive indications of the dogs, in the laboratory it was not possible to identify any DNA profile from the samples collected.